At Tax Today we pride ourselves on the quality of the tax returns we prepare. 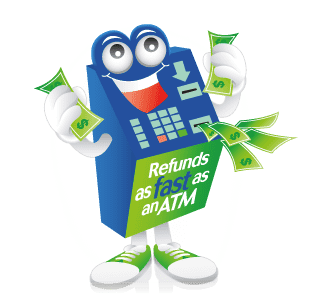 So much so, that we offer you the choice of having your refund advanced by us, or waiting for the ATO to issue the refund. If you have a debt with a government agency, the ATO may deduct that debt from your refund. In that situation, we can advance the balance remaining. All our fees can be deducted from your refund, so there is no need to pay us up front. Why get your tax return done by someone that hasn’t got a rental property, or has never owned their own business! Every office has a specialist that really does know what they are talking about when it comes to Businesses and Rental Properties. This service is at a reasonable rate to our competitors and can be done on a very flexible basis, which suits the client. We provide regular Profit and Loss statements, which keeps you up to date with how the business is going. We are also Xero Certified bookkeepers. Whether you need to get registered for GST or need to lodge a BAS already, we can help simplify the way you do your record keeping by providing free software to our clients. This information, once entered, can be faxed or e-mailed to us each month or quarter so we can lodge your BAS. This helps with the lodgment of your tax return each year as the information has been reconciled each time a BAS has been lodged. We can assist you with the preperation and lodgement of your Superannuation Fund tax return and the compulsory Audit as well. This is a specialised service and not many accountants can provide this. Tax Today are always looking to provide exclusive service to our clients, so along with our BAS returns and bookkeeping services, Tax Today can be your one stop shop.